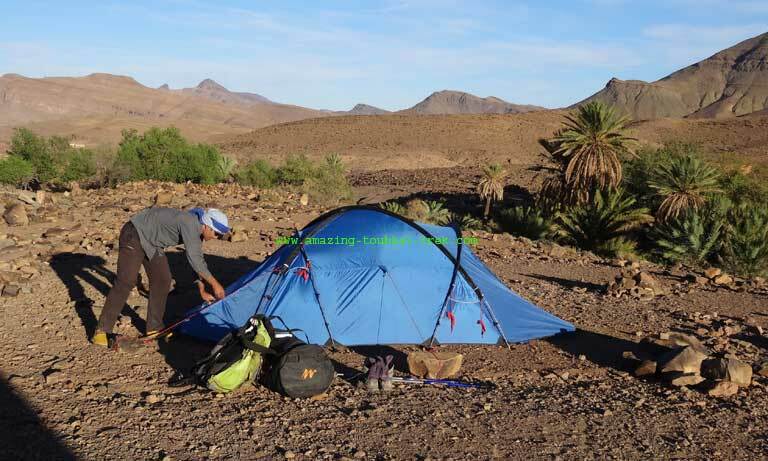 Djebel Saghro Trek: 6-day hiking tour in Saghro mountains to experience wild camping in genuinely spectacular locations. You will walk across ancient Berber tribes called the Ait Atta and discovered Nomadic Berber life. Djebel Saghro lies between the High Atlas Mountains and the Sahara Desert border. 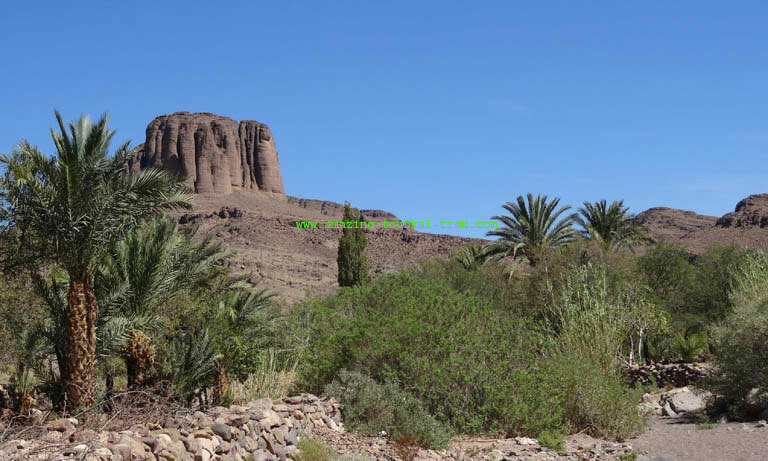 The Djebel is an extinct volcano located in the south of the High Atlas and the Dades Gorges. It is full of much eroded sedimentary plateaus. – Meet the Ait Atta tribes, local Berber families, and semi-nomads. Arrive in Marrakech or Ouarzazate then transfer to your hotel. Free time to explore the city. After your breakfast, We will drive to pass the spectacular Tizin’Tichka Pass of the Atlas Mountains. We’ll visit the Kasbah of Ouarzazate then have lunch in the capital of cinema. Afterward, we’ll pass the Skoura oasis, Kalaat M’gouna and the Roses valley by the Road of thousand-Kasbahs. From there, we’ll come to Takdilte village where we’ll spend the night. The whole journey will take about seven hours. The Djebel Saghro trek begins after breakfast. We’ll enjoy the panoramic view of the Mount Mgoun after which we’ll walk down towards our camp in Almou N’Ouargue near the summer hut of the Ait Atta nomads. Overnight in tents. The whole journey is a 6-hour trek. This journey begins after breakfast; we’ll climb to the Kouauch summit 2509m then we trek down to our camp in Iglli. This trek will afford you the opportunity to discover different types of volcanic rocks in the area. Overnight in tents. The whole trek lasts six hours. The journey begins in the morning after breakfast. We’ll trek to a small village then down to the plateau of Taghourte. We’ll encounter nomadic Berbers and see the ancient cemetery of the nomads Ait Atta. After a lovely lunch, we’ll continue walking through the canyons to arrive at our camp in Ighazoune valley. Here. The trek is also 6 hours. On day six, we’ll continue to walk through Berber villages and ancient Kasbahs. We’ll spend the last night in a local gite at Handour village near Nkob town. The whole trek will take six hours. Today we drive back to Marrakech via Ticka pass. We’ll visit Ait Ben Haddou castle and then have lunch. Afterward, we’ll continue the journey back to Marrakech. Overnight in the hotel. 7 hours drive. End of Saghro trek. 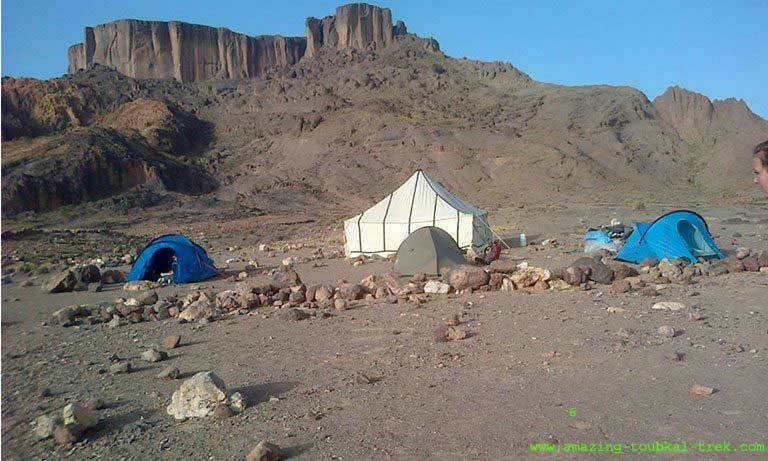 – Djebel Saghro trek is available and can be arranged for groups of all sizes. 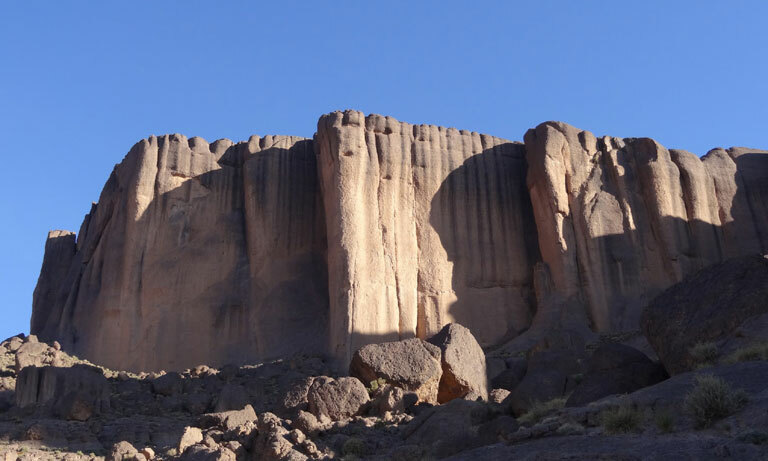 Djebel Saghro trek: Visit the beginnings of the Sahara and experience the beauty of Saghro Mountains. Hiking tour in Saghro Mountains, Saghro Trek.